We want to foster a creative and fun approach and invite you in the spirit of collaboration to join us for a Potluck Picnic in Woodquay Park on Sat 25th July. Bring along and share something to eat or drink that is homemade or locally produced, so we can start as we mean to go on in co-creating and supporting a sustainable local economy in Galway. A Potluck is a gathering of people where each person or group of people contributes a dish of food prepared to be shared among the larger group. The etymology of the word ‘Potluck’ is derived from the Native American ‘Potlatch’ which formed the basis of the traditional Gift Economy. The Potlatch is a rich tradition and offers a source of inspiration for many who seek to foster a culture of giving and sharing. Artist, activist and P2P Foundation member, Kevin Flanagan will speak more on the Gift Economy and P2P’s work highlighting its resurgence and relevance today. At our first meeting attendees identified areas of interest for potential cooperative development such as Food, Energy, Housing, Arts, Co-op Store, etc…. We also want to continue these discussions and explore the creation of working groups and initiatives to take things further. 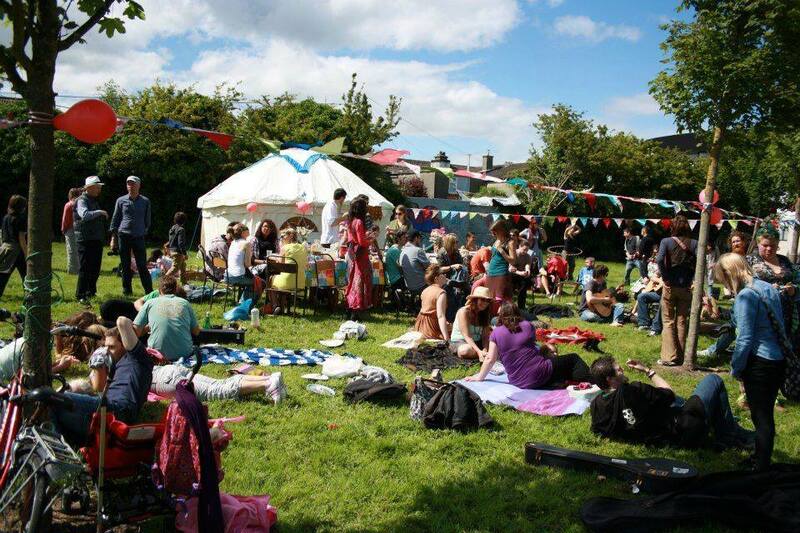 The picnic will take place – weather permitting -in The Green in Woodquay.. In the event that weather is not permitting it will take place in the nearby Galway Rowing Club. Please bring food and drink to share, blankets or camping stools to sit on and anything useful for the makings of a picnic for what we hope will be a sunny day. Collaborative Ways Forward is a new transdisciplinary initiative by members of Third Space, Transition Galway, An Ait Eile and the P2P Foundation, to explore and act on the potentials of the cooperative, solidarity and sharing economy in Galway by bringing together Galway’s creative communities, artists, activists, cooperative-oriented groups and local support organisations, to make connections, present alternatives to the current system and identify possibilities for collaboration and collective action through Co-operatives and the Commons.